Breathe. As you continue breathing, become increasingly aware of your breathe. Feel the fabric of your body expand and contract as you inhale and exhale. Become aware of your thoughts and emotions and sensations in the body. Let go of the old. Let in the new. Feel a sense of refreshment through intentional breathing. The more you become aware of your breath, weaker the link gets with the rigid, repetitive, unwanted thoughts and emotions. Acknowledge and Respect your state of mind for whatever it holds for that particular moment. Just be. Breathe. Soon you will notice natural stillness taking place. With a deepening state of this mental stillness, the dimension of time moves away from past or future iand comes into the present. Become aware of your breathe and enjoy the emptiness of your mind as your experience being connected to Now. Notice your awareness expanding and contracting. As the mind escapes into the stories of the past or visuals of the future, gently bring it back to the present moment into stillness. 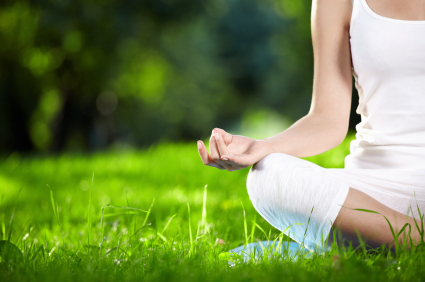 Consider your body as a container for your breath allowing an easy and natural flow. Allow yourself to move in and out of stillness. Enjoy the Presence for few more moments. Set an intention before your complete your stillness practice and come back into movement. Renew the quality of your mind, by periodical mindfulness practice time-to-time throughout the day. Psychologically, it helps reduce thoughts & emotions based mental traffic jams relieving stress. Socially, one feels more empathy, compassion and tolerance towards environmental differences. Scientific Research: According to the neuroscientist Dr. Dan Seigel, 10 minutes of daily practice of mindfulness (a.k.a brain brushing) can shape the brain circuits to help us experience peace. Dr. Dan Siegel on Neuroplasticity and Mindfulness Meditation Training. Wish You Peace. Love. Happiness. Thanks for this great guided meditation! Mind if I use it in my classes? Hi Chris, please do. we inspire from each other’s ideas. thereon, more goodness we share, it returns back to us thousand folds.